Colorado's mineral wealth has attracted prospectors for centuries. Start Finding Gold! - A Guide to Prospecting in Colorado takes a look at the major mining districts and highest gold producing counties in the state. Primarily in the mountainous regions of central and southwestern Colorado, these historic mining areas can still produce gold for a hard-working prospector today. Special attention is given to Boulder, Chaffee, Clear, Custer, Eagle, Gilpin, Gunnison, Lake, La Playa, Ouray, Park, San Juan, San Miguel, Summit, and Teller Counties. 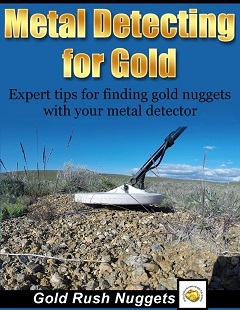 This eBook is a great resource for any Colorado prospector. Many of the areas mentioned here still hold great potential for a prospector willing to put in the time and effort needed to find undiscovered gold deposits! Colorado is a huge state with miles of rugged terrain and lots of public land that is open to prospecting. Many of the mining districts in Colorado are also extremely remote, which means they have not been prospected nearly as hard as many other areas in the U.S.
Are you serious about finding gold in Colorado? 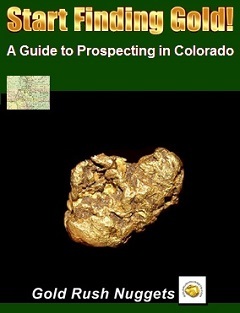 Start Finding Gold - A Guide to Prospecting in Colorado - 38-page eBook about where to finding gold in Colorado. 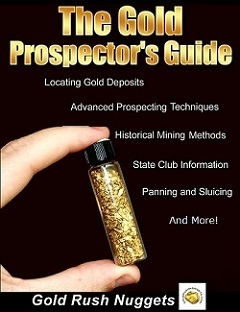 Start Finding Gold - A Guide to Prospecting in Colorado - 38-page eBook about where to finding gold in Utah.